Software: NetEnt, Microgaming, BetSoft, Yggdrasil, ELK, Play ‘n Go, NextGen, Rabcat, Thunderkick, Quickfire, Genii, Push Gaming, Red Tiger, Scientific Games, Pragmatic Play, and Evolution Gaming. Highroller Casino is a NetEnt casino that is operated by Betit Operations Ltd. The company is licensed in Malta by the MGA and also holds a UK Gambling license. Sister casinos from the same group include: Guts Casino, Kaboo, Rizk, Betspin, Thrills, and SuperLenny. As purported, Highroller Casino is the newest innovation around in the online casino arena. 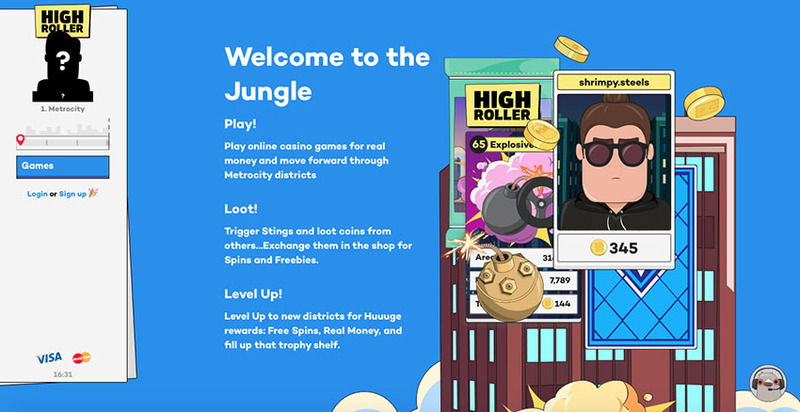 Players are able to create their own avatars and immerse themselves in Metrocity, a dark metropolis full of games, heists, and rewards to be won. In the dark streets of Metrocity, survival of the fittest is the name of the game. Stay on the move, play, and progress through the districts of Metrocity to unlock new levels and get opportunities to loot. Highroller Casino has huge selection of over 750 casino games from the best software providers such as: NetEnt, Microgaming, BetSoft, Yggdrasil, ELK, Play ‘n Go, NextGen, Rabcat, Thunderkick, Quickfire, Genii, Push Gaming, Red Tiger, Scientific Games, Pragmatic Play, and Evolution Gaming. Play anywhere you want – whether you are on-the-go, on your tablet, mobile, or desktop. There are over 500 mobile games to choose from! New players at Highroller Casino are eligible to receive the Welcome bonus of 200% bonus up to €100 + 50 Free Spins*. 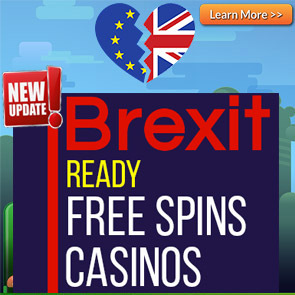 *Players will receive 10 Free Spins over the next 5 consecutive days. The wagering requirements for the winnings from your spins for Day 2 to 6 is 35x. 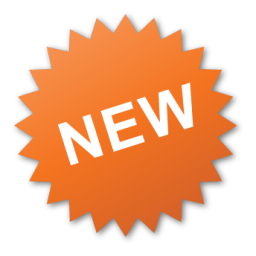 New players at Highroller Casino who sign up will also get 20 coins and a free Sting Game! All casino bonuses need to be wagered a minimum of 35 (thirty five) times before the funds can be withdrawn. For 150% (or above) bonuses have to be wagered 40 (forty) times, 200% (or above) bonuses have to be wagered 45 (Forty Five) times. 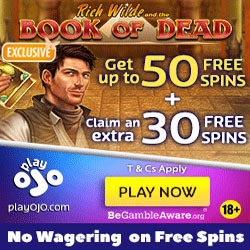 Free spins winnings must be wagered 35 times. Players residing in the following countries are not eligible for the Welcome bonus offers: Poland, Bulgaria, Greece, Hungary, Romania, Croatia, Ukraine, India, Pakistan, Indonesia, Russia, Czech Republic, Portugal, Slovakia, Latvia and Thailand. Slots and other games contribute to 100% of wagering requirements. Games classified under classic slots count 75%, and so do the following games: 1429 Uncharted Seas, Blood Suckers, Kings of Chicago, Jokerizer, Mega Joker, and Simsalabin. Roulette and Live Dealer Roulette counts 35%. All Blackjack, Baccarat, and Casino Holdem count 10%. All other Table games and Live Casino games count 20%. All Video Poker counts 10%. The following games count 0%: Wish Master, Castle Builder 1 & 2, Dead or Alive, Double Dragons, Dr Jekyll & Mr Hyde, Eye of the Kraken, Pearls of India, Robin Hood, Tower Quest, and Super Monopoly Money. The deposit options at Highroller Casino are: Visa, Visa Electron, Maestro, Mastercard, Skrill, Neteller, Paysafecard, Trustly, Euteller, Zimpler, and Bank Transfer. EUR, GBP, NOK, SEK, and USD. Australia, Afghanistan, Algeria, American Samoa, Antarctica, Belgium, Bulgaria, China, Comoros, Cyprus, Denmark, Ecuador, Estonia, Ethiopia, Faroe Islands, France, French Guiana, French Polynesia, French Southern Territories, Greece, Greenland, Guadeloupe, Guam, Hong Kong, Hungary, India, Indonesia, Iran, Iraq, Israel, Italy, Jordan, Korea, Kuwait, Libya, Malaysia, Martinique, Mayotte, Myanmar, Montenegro, New Caledonia, Northern Mariana Islands, Pakistan, Philippines, Poland, Portugal, Puerto Rico, Réunion, Romania, Russian Federation, Saint Barthélemy, Saint Martin (French part), Saint Pierre and Miquelon, Singapore, Slovakia, South Africa, Spain, Svalbard and Jan Mayen, Syria, Turkey, United Kingdom, United States Minor Outlying Islands, United States of America, United States Virgin Islands, Wallis and Futuna, Yemen, Aland Islands, Czech Republic, and Slovenia.